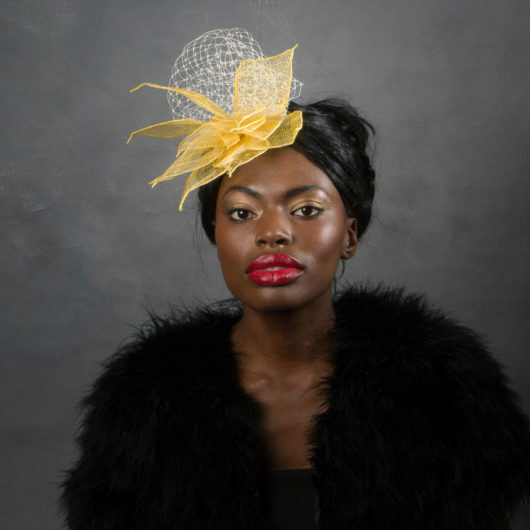 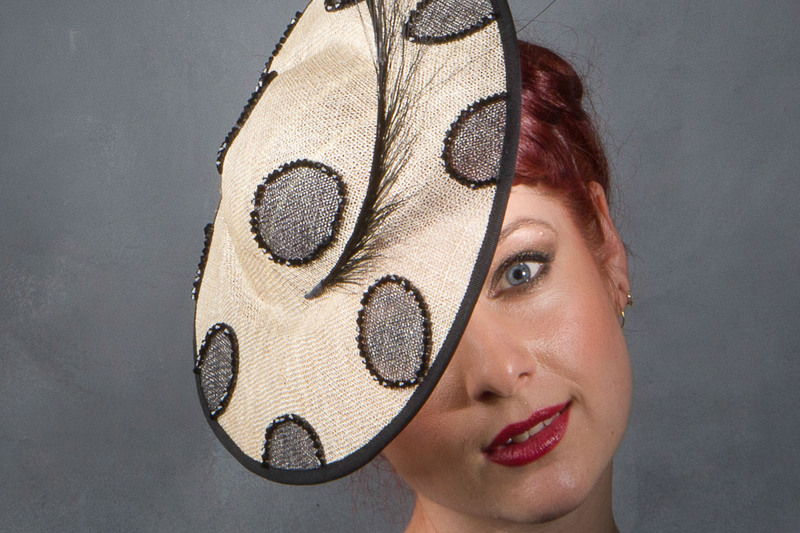 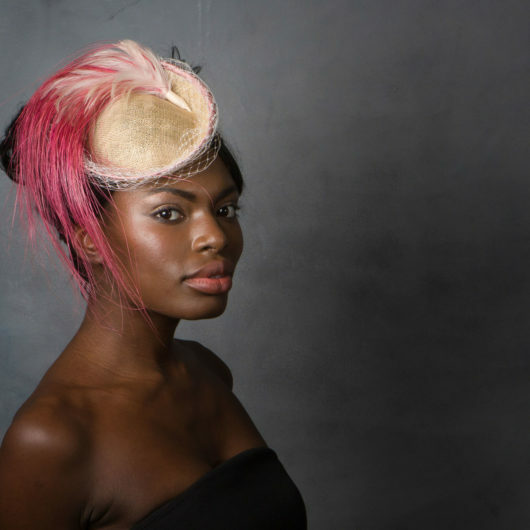 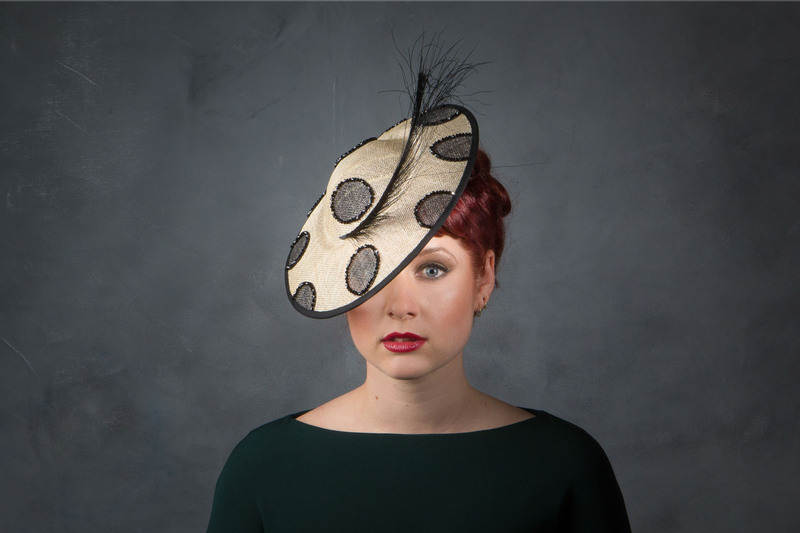 This Black and white hatinator is made from printed dotted sinamay and adorned with hand-sewn crystals beads and a feather. 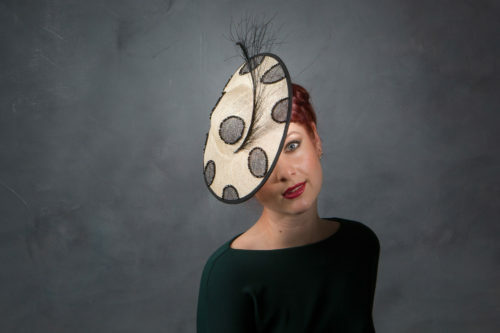 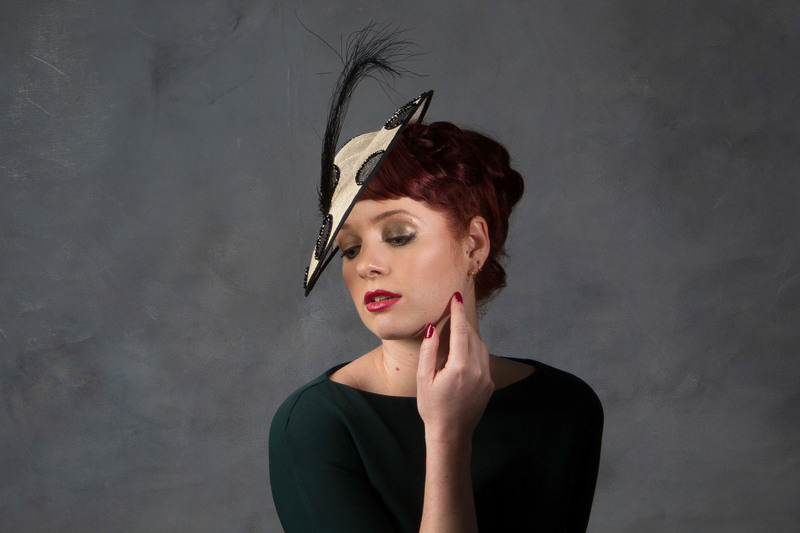 Perfect for Ascot or wedding, try pairing with a 50’s cut outfit. 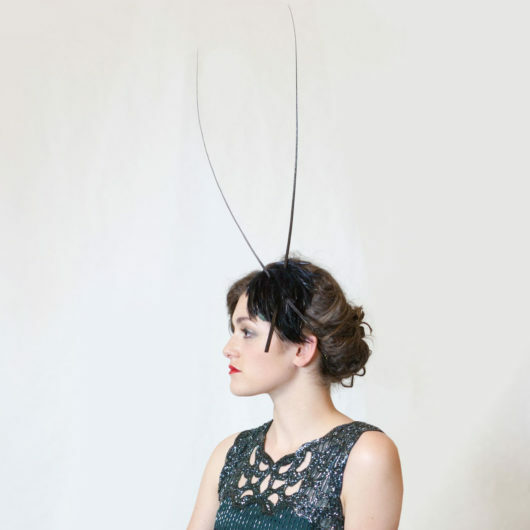 Held with millinery wire alice band.